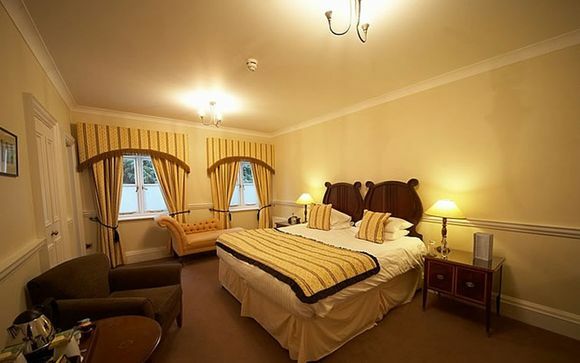 This charming 4-star hotel is situated in the Kent, known as the Garden of England. As well as beautiful countryside, you will find many wonderful heritage and cultural sites to visit, from Leeds Castle to the beautiful architecture of Canterbury Cathedral. When staying with Chilston Park Hotel you are free to do as much, or as little, as you choose. 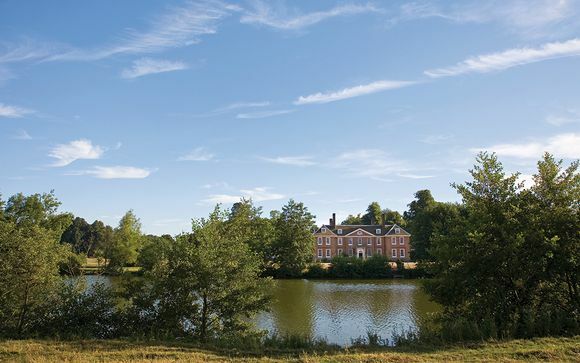 Right on your doorstep, the house’s 23 acres of grounds and lake are a great place for an afternoon stroll. Chilston Park seems an age away from modern pressures. With its classic interiors and historic original features, this is a place of timeless elegance. There are many interesting artefacts and antiques dotted around the hotel that date as far back as the 17th century. Set back from tree-lined lanes, the manor house at Chilston Park is set in 23 acres of parkland and features a two AA rosette restaurant. Over the years, it has been a home to eminent politicians, writers, Lords and Viscounts. As an historic country home, Chilston Park Hotel have numerous grand rooms for guests to enjoy, including the beautiful Marble Hall and the cosy Reading Room complete with roaring open fire. This offer is based on a Manor House Classic (one night stays) or Manor House Executive Rooms (two night stays). 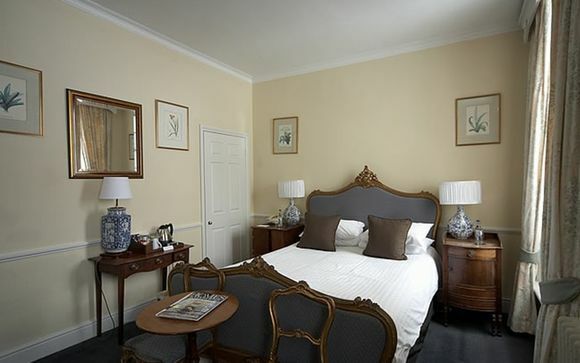 Manor House Classic - rooms are all located in the Grade 1 listed Manor House and are complete with all of the amenities you need for a comfortable overnight stay. Manor House Executive Rooms - Manor House Executive Rooms offer a larger floor plan with a King or Queen Size bed with an additional seating area or desk space, complete with all amenities you will need for a comfortable stay. Just for you: Bottle of wine served either with dinner or in the room on arrival. Culpeper Restaurant - The old dining hall of Chilston Park Hotel creates a special atmosphere in which to enjoy a fine dining experience to mark a special occasion or just for the pleasure of it. Here you will find great food and a fantastic wine list. The Lounge - This great country house was built for pleasure and it is in The Lounge where this spirit is most lived. Here the hotel serves morning coffee (excellent elevenses), afternoon tea (including Champagne), evening cocktails and late night digestives. Travelling clockwise around the M25 leave junction 3 taking the M20 towards Maidstone and Dover. Leave the M20 at junction 8 and join the A20 towards Lenham. Continue along the A20 passing Leeds Castle and Harrietsham. After passing a Texaco garage on the left follow signs to Lenham Medieval Village. There are a number of routes into the village, once you reach the square head towards Lenham Station. Continue for approximately 1/2 mile and bear left at the fork into Boughton Road, there will be signs to Chilston Park. At the crossroads go straight over, the hotel drive is 1/4 mile on the left. Leave the M25 at junction 5 onto the M26 towards Maidstone. The M26 merges with the M20 after 10 miles. Leave the M20 at junction 8 and join the A20 towards Lenham. Continue along the A20 passing Leeds Castle and Harrietsham. After passing a Texaco garage on the left follow signs to Lenham Medieval Village. There are a number of routes into the village, once you reach the square head towards Lenham Station. Continue for approximately 1/2 mile and bear left at the fork into Boughton Road, there will be signs to Chilston Park. At the crossroads go straight over, the hotel drive is 1/4 mile on the left. At the crossroads go straight over, the hotel drive is 1/4 mile on the left. From M20 travelling north towards London leave at junction 9 and follow A20 towards Lenham, pass through Charing and after approximately 2 miles take the turning on the left signed Lenham Village. There are a number of routes into the village, once you reach the square head towards Lenham Station. Continue for approximately 1/2 mile and bear left at the fork into Boughton Road, there will be signs to Chilston Park. At the crossroads go straight over, the hotel drive is 1/4 mile on the left. At the crossroads go straight over, the hotel drive is 1/4 mile on the left.